We have been waiting for the fire sale to hit official HP TouchPad accessories and Office Depot is the first retailer to oblige. You can pickup the HP Touchstone Charging Dock for $39.99, a savings of $40 off the retail price. 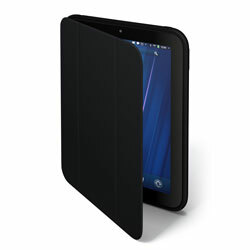 The HP TouchPad case is available for $19.99, a savings of $30 off the retail price. These are the lowest prices we’ve seen. UPDATE: Charging dock is available for future order along with case. HP TouchPad Keyboard is still available for $29.99.